Whatever it is...give it to Jesus. prayer. He is having Surgery May 14.
to bless him with relief and healing. him; each prayer will be different, but please pray. the success of the surgery. Also, pray for a speedy recovery. aiding her for a few days of her recovery. needed for these difficult days ahead. He is a fighter, and God is still in Control. Millie is having eye surgery Monday, December 10. Please say a Special Prayer for her. involved in her care and procedure. pain and discomfort will be minimal. Please include Auntie Priscilla & Uncle George in your prayers. I met Ruth and Mrs. Cohill just last week at Thanksgiving Dinner. Now, Ruth has made her transition. Lord, have mercy! and other professionals who will be in charge of her care. God does hear and answer prayers. the Lord to shower down His Grace and His Mercy. nerve in his back; Thursday, October 18.
personnel he will encounter during his procedure. are being heard and Prayers are being answered. Praise Report and update on Sancho. He was able to be air-lifted from Miami to Jackson on Friday. on his right side, and from the waist down on his left side. He is very blessed. He is still in need of Prayer. Can you vaguely remember the Prayer Request above? It was posted in 2009. Sancho & his Bride, Shundra. masculinity. Check him out, Google him...Coast Guard. Just look at GOD!!! He does hear and answer Prayers. Hallelujah! Thank You Jesus! To God be the glory! up and about, doing her housework. Please continue to pray for Mr John Jackson. He is now in Hospice. Pray for the entire Jackson Family. Please Pray for them. Being Premies, they are under weight. Please pray for Jaylen; who knows how this is going to go. Po Thang. He just might not want to share Pa-Pa & Granny. was hospitialized a few days ago. Family. We already know God hears and answers Prayer. Please remember Mary Kinnard Green in Prayer. is now recovering in Baptist Hospital. Let's remember the Newell Family in Prayer. recently. Currently, she is in a rehab facility. Also, Frances Newell had surgery a few days ago. for their comfort and strength. saying "Bye" to a Daughter, Sister, Aunt, Friend. Jackson is scheduled to have surgery on March 30. March 30 is also Sheronda's last working day in Georgia. When you bow, please remember the Huff Family in Prayer. for good health and peace. the mother of TWINS. Ask God to bless her with a healthy pregnancy. Uncle Johnnie & Auntie Cynthia in prayer as well. God is still blessing. is moving right along. She has a new BFF, her Computer. go to the altar, please whisper a prayer for him. "Morning," but Oh Lord, when will the "Morning" come?! and developing. He will continuously need our prayers. Pray for his Mommy, Daddy and Brothers. being, she thinks she is 71...or more like 61. Just Pray! what method of treatment is needed. Pray mightily. You know how SPECIAL she is. She is home. all things. We claim a total and complete healing. still in need of prayer. and will surely need it. To say she is devastated would be an understatement. but I do feel a great sense of loss. We go way back. for that and more, we say Thank You Lord. had a biopsy and further tests. it is benign. Praise God. Thank You Lord for your Grace and Mercy. Michael saw the Neurosurgeon a few weeks ago. Surgery is not imminent. Praise God! he is fine and will continue to be so. Continue to pray for him; and continue to Praise God. the test doesn't reveal anything seriously wrong. 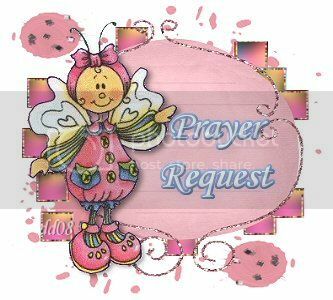 Please whisper a Special Prayer for LaRetha. adjustment, so I need strength and perseverance. Pray for the trip; traveling Grace. of Auntie DeLo, the mother-in-law of Uncle Henry. Johnnie Lee Newell is ill also. He is Auntie DeLo's brother. Pray for Auntie DeLo and the entire Newell Family. able. He can and He will. Praise Report: Uncle Johnnie's Surgery has been postponed. God for His many blessings! thank God for hearing and answering right on time. Please pray for Mr. Dewitt West. His condition is nonspecific. does best; heal, soothe, comfort, and restore health and strength. The Wests are the family of my friend Lena. Pray for her also. recuperating nicely in the loving arms/home of his mom and dad. only six ounces below normal birth weight. God is good! recovers and he gets his weight up so he can go home. It is said if you want to make God laugh, plan something. He can and we have faith that He will. be scheduled, it is never to early to start praying. surgery. 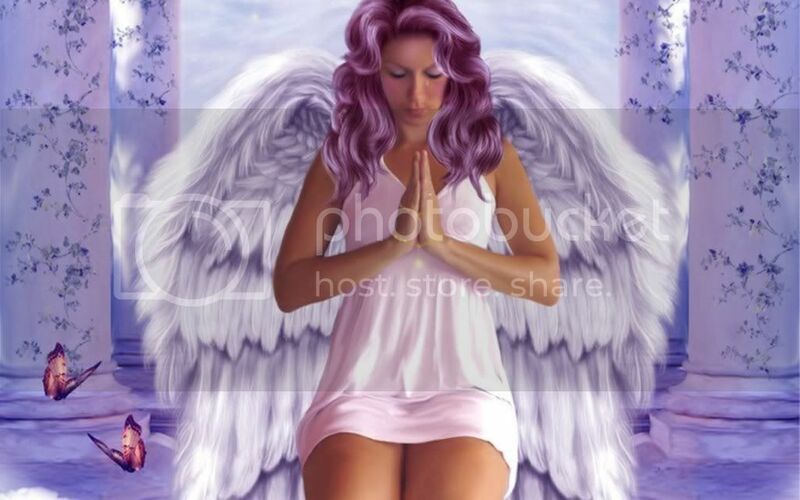 Please pray for Auntie Cynthia and all of the children. God is the Master Surgeon, and we know He can and He will. Praise Report. Raymond is recuperating at home now. recovers. Pray for his family also. Please pray for Raymond Newell, Sr. He is Auntie DeLo's Brother. He is in the hospital. He had a heart attack Thursday night. and for him. We know that this too, shall pass. When you bow, please say Uncle Johnnie's name. problems that will require surgery. in the time of trouble. walking. No one was injured, thank God. her and her friends safe. Needless to say, they were terrified. Ask God to continue to bless her and keep her safe. Pray not only for her, but all students at all Colleges and Universities. through this also. He didn't bring him this far to leave him now. When you bow, please call Uncle Johnnie's name. sister was the fatal victim of a house fire. The Lord knows already the pain they feel. be hospitalized for several days. and recovery. Jesus surely will make it all right. add Sheronda to your Prayer List. She is "with child." freedoms we have. Keep them in prayer. Mr. Levi Vance to your prayer list. we know the Master Healer. LaRetha is recovering nicely. Actually, she is doing great. weeks. Continue praying for her. on Wednesday, September 9, 2009. Comfort and Healing in their lives. her recovery will be expedient. God's family. It is His will that every need be supplied. You are important to me, I need you to survive." please pray for Mrs. Mary Peavie. She is seriously ill.
She is hospitalized at the moment. As you pray for her, remember her family in prayer. love having to deal with a serious illness. Mrs. Peavie is the mother of our own Uncle Bill. The effectual fervent prayers of the righteous availeth much. a special prayer for Mrs. Allien Washington Vance. doctors don't have the last word. able to do. Pray for the Family as well. Mrs. Vance is Sheronda's Grandma. also a comedian, so He called him to eternal rest. of us who were blessed to call him family and friend. are a praying family. If Jesus can't fix it, nobody can. Praise Report and update on Uncle Kent. Praise God...Uncle Kent has gone back to work. He has finished one series of treatment. Please continue in prayer for him. There is a Praise Report on Chelsey Gladney. She is home now from the Burn Center. She has challenges, but she is doing very well. much. Keep her in your prayers. I ask you to remember John in prayer. I ask you to heal John." all petition the throne of God in John's behalf. of God's miracles. He is the Master Healer. He's doing his favorite thing...eating. from God; so continue to pray. Kenneth has begun Chemo and Radiation. to tolerate, to endure, to thrive, to sail through. Soon all of it will be behind him. Keep praying! just bow and God will listen to your heart. Barack Obama and his family. and political prosperity for Barack Obama. will' will be done through him. has become the President of these United States. sincere prayers of the righteous. accident Sunday, October 5 in Jackson MS.
time now, but who knows when it will be your time. I know you are going to pray for her. Sean Thompson, 17 yrs old. Please keep all of them in mind as you bow at your altar.